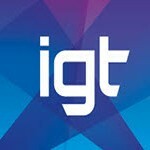 International Game Technology, commonly known as IGT has announced that they have been granted a poker patent. This poker patent will give IGT the exclusive rights for multi-hand video poker titles throughout November 2016. This means that no other companies can offer video poker products in land based casinos within the United States of America until after Novermber 2016. This gives IGT more than a year to reap in the benefits of this patent. They offer dozens of multi-hand poker titles which will be placed into a poker machine & sent off to dozens of casinos. The games coming to land based casinos include Hyper Bonus Poker, All-Star Poker, Ultimate X Poker, Triple Play, Ten Draw Poker, Five Play and five other additions of poker as well. This’ll give punters plenty of opportunities to experience an array of poker & potentially win a life changing amount of money. As of this time the poker patent is currently only registered in the United States of America. Any other land based slot developers won’t be able to touch the poker marker now for more than a year. 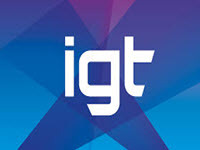 IGT is clearly trying to make video poker a pillar in their platform. Unfortunately it’s unclear if these poker titles will be making their way to online or mobile based casinos in the future. It could become a possibly after November, 2016 but more than likely not until then. Punters will have to be in Reno, Las Vegas, Atlantic City or other well-known gambling destinations in the USA to experience these games.